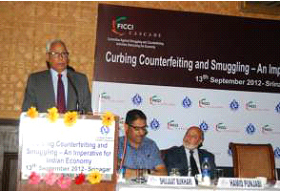 The 3rd consultation was organised in Srinagar in collaboration with Kashmir Chambers of Commerce and Industry focusing on the growing link between counterfeiting, smuggling and crime. 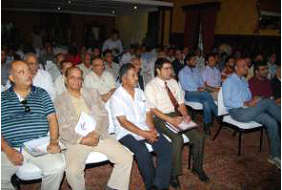 Inaugurated by his Excellency, Shri N N Vohra, Governor, Jammu and Kashmir; the seminar was gracedby other dignitaries including the Hon’ble Minister of State Science and Technology Mr. Aga Syed Ruhullah Mehdi; Justice (Retd) Mr. B A Kirmani, President State Consumer Disputes Redressal Commission. 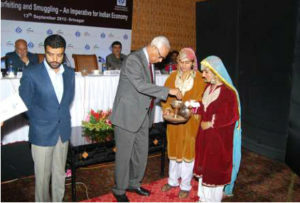 In his welcome address Mr. Abdul Hamid Punjabi, President, Kashmir Chambers ofCommerce, cited examples of Kashmiri handicrafts, paper mache products and walnut woodhandicraft industry which are being adversely affected. 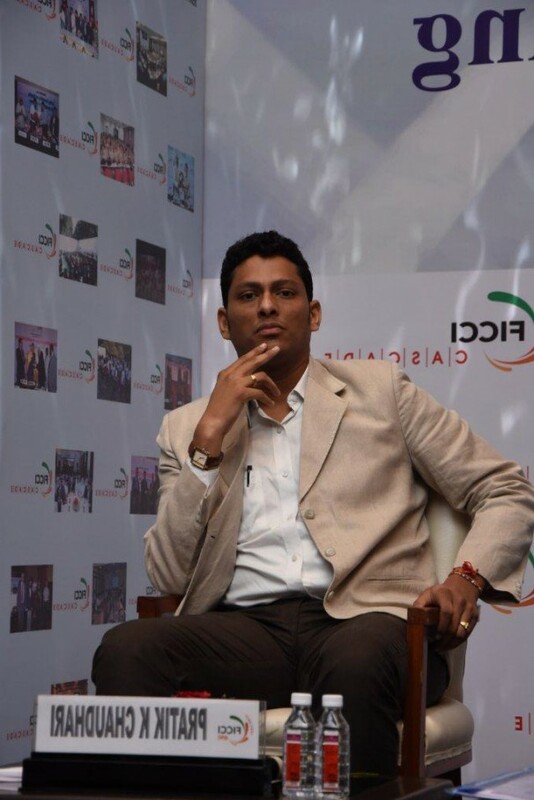 He further enlightened the gathering on theseverity of the issue and its impact. 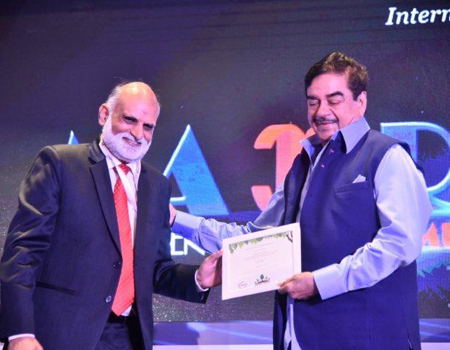 He emphasized that there is a need to curb this menace and eachone of us have to take a collective stand and work towards formulating stringent policies. 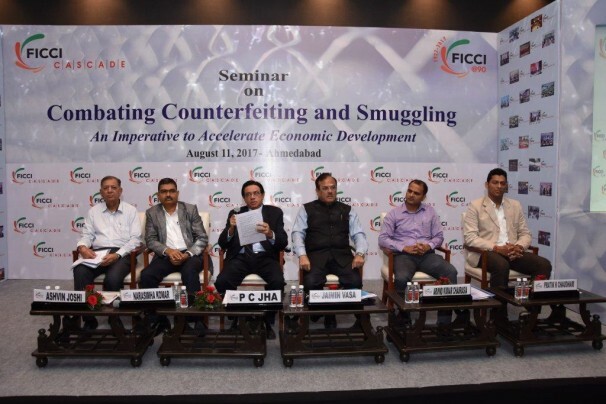 Mr. Aga Syed Ruhullah Mehdi, Minister for Science and Technology and Information Technology, raised concerns about counterfeit goods as they are not only harmful for the consumers but for thegovernment as well. The revenue of the government is zero as the manufacturers of such goods don’tpay tax. This black money is used for other illegal works such as terrorism and other unlawful activitieswhich pose threat to the nation. Talking about the magnitude of the problem it was informed that Asiais the largest producer of counterfeit goods while 70% of such items come from China. It was emphasized that the law enforcement agencies must act stringently to stop this menace. His Excellency, Shri N N Vohra highlighted the problems faced by the artisans, manufacturers of handicrafts, saffron, walnut, shawl and carpet weaving industries in Jammu and Kashmir. His Excellency raised concerns vis-a-vis introduction of fake currency by the neighbour country to destroy our economy and huge un lawful funds which accrue from smuggling, fake currency, black money and hawala transactions that are being utilized by organized crime groups and mafia networks to foster illegal trade in arms and drugs and fund terrorist activities. He stressed upon buying and selling onlygenuine. 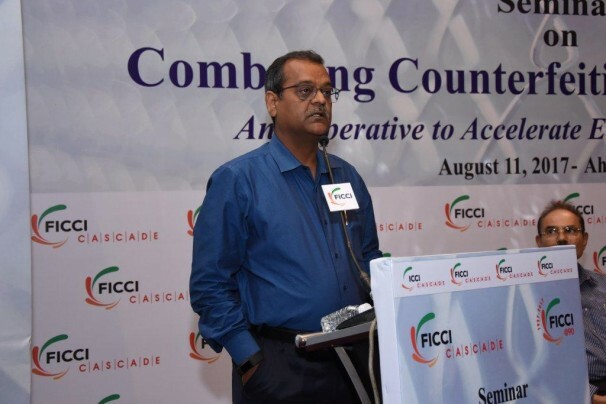 He congratulated FICCI-CASCADE and Kashmir Chambers of Commerce for joining hands to deliberate on such an extremely important problem and expressed the hoped that the Seminar will culminate with a set of recommendations which would go a long way in curbing counterfeiting, smuggling and other organized crime. 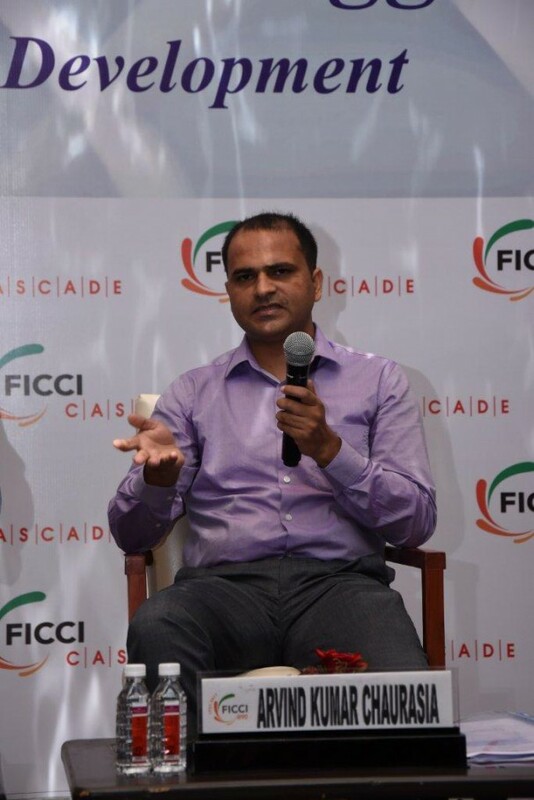 Mr. Tobby Simon, President, Synergia Foundation mentioned that the terrorist groups like Al- Qedaare now raising money by indirectly getting into the counterfeit trade. The terrorist organizations arenow getting involved in trading in the counterfeit products instead of narcotics, they eitherthemselves or through some agents get in touch with the retailer or the middlemen lure them bymonetary benefits and make them sell the counterfeit product and hence destroy the supply chainintegrity. The money which is generated through this chain is then utilized by them in their terroristactivities causing a threat to national security.